We pledge that our items are fit for purpose and are durable and of acceptable quality. We pledge that items we are selling are fit for their intended purpose and any other particular purposes indicated. We will ensure items we are selling match the description given. We will act responsibly and promptly to fix any product faults within a reasonable time after the sale (other than those caused by unreasonable use) or offer a replacement or refund. We also pledge to provide repair capability in house for the foreseeable future for our ZM4 product line. In no event shall we be held liable for any direct, indirect, punitive, incidental, special consequential damages, to property or life, whatsoever arising out of or connected with the use or misuse of our products. If you wish to pay by direct credit our bank details are Westpac Bank Account number 031560005255900, this option is not available for offshore payments due high bank charges we incur this end. The ZM4 unit is covered by a 24 month warranty on a return to base basis. We will repair or replace free of charge. 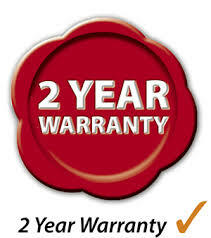 The warranty does not include damage from incorrect installation. The warranty is void if the cover is removed or if the unit is tampered with. If you do have a problem please refer to our User Manual fault finding section. When you do make contact please provide as much information about your installation in order that we can best assist with fault finding. Refurbished alternators, all our units are tested on an alternator rig, other than workmanship issues we cannot provide warranty on alternators. A full refund will be provided to any goods returned to our facility, in their original packaging and within 30 days. Shipping expenses, in both directions, are not refundable.If goods are not returned in an acceptable condition a restocking fee of up to 15%,will apply.If the goods you receive are damaged during shipping we cannot be held responsible for such damage. The privacy of your customer data, orders are important to us. We will not disclose or sell your customer data to any third party. We will use best endeavors to process your order within 1 business day following payment in cleared funds. Payment by online banking cannot be checked until the next business day. We will send you an email notifying you when your order has been shipped. Please allow up to 1-3 days for delivery domestically, or 10 days internationally.